for Grades K-8: It’s the Science of Doing. Phenomena-based learning uses inquiry to engage students in “doing” science. Welcome to Elevate Science! It’s the K-8 science program that starts with real-world, observable phenomena, like weather, robots, oil spills, and space travel. It’s authentic science, science that gets students questioning, problem solving, and engineering solutions through inquiry and evidence. 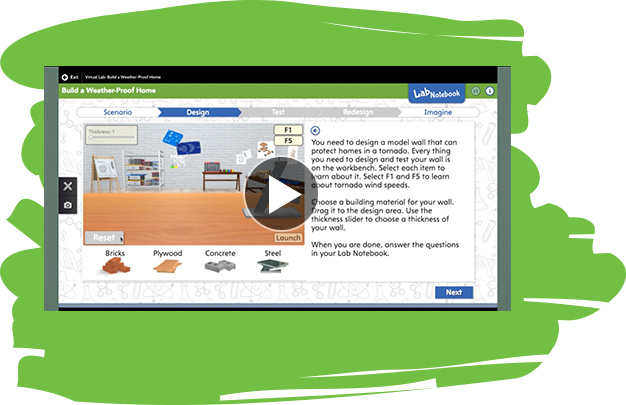 Elevate Science brings three-dimensional learning to your classroom. Experience IT! It's the science of doing. Pearson Realize™ is home to Elevate Science digital content, assessments, reporting, and management tools. Connect with fellow science teachers on Facebook. Get free activities and ideas for inquiry-based teaching. Connect with us on Twitter for the latest news and conferences. See what we’re up to on Instagram for the latest news and conferences.